When I was young, my first proper concert was a symphony concert! I have had a long love and connection with the symphony. From my violin playing days in the youth symphony and university symphony to attending symphony concerts in Nashville, Prague, Osaka, Kuala Lumpur, Tokyo, and now Brisbane. 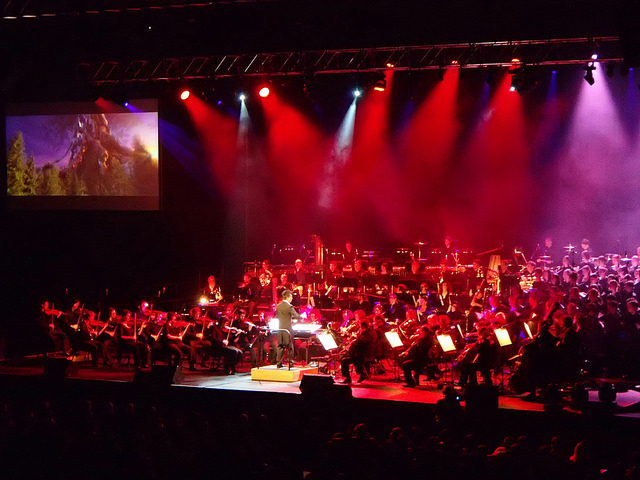 I was so fortunate to attend Queensland Symphony Orchestra‘s (QSO) Video Games Unplugged: Symphony of Legends concert. To make things even more special, prior to the performance, I was invited to attend a closed rehearsal for a sneak peek preview of the music and meet Conductor Philip Chu. He was so engaging, friendly, and interesting. I was so excited to talk “score” with him. Being a gamer himself, playing the games immensely helps him give the symphony context to the music. For example, he would explain how the long drawn out whole notes of the bass indicates the arrival of the ship in one piece. 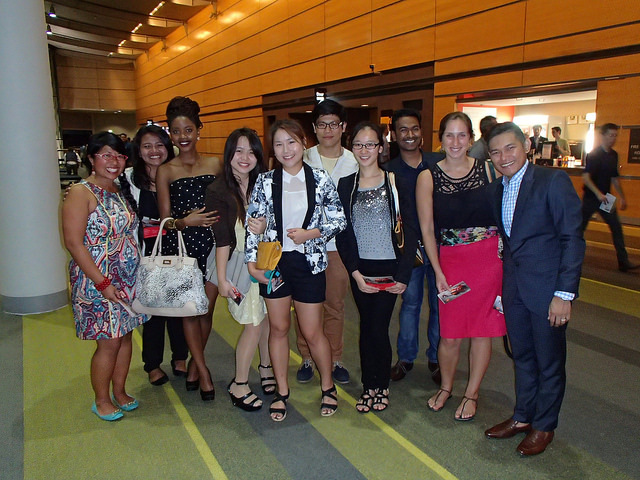 He was more than happy to share insight into the different works with us and is incredibly down to earth. This was a major highlight for me because I know what a privilege it is to speak with a conductor and for him to make time for us! Meeting incredible Conductor Philip Chu! Unlike most concerts, two presenters (gamers), Kris Straub and Paul Verhoeven, hosted the performance, sharing anecdotes and preparing the audience for the next piece. As music is a major part of film, they have become so in games as well. The influence of music in gaming began long long ago when my generation started playing Super Mario Bros! We can all hum the tune can we not!? The concert was fantastic because along with the live music, two massive screens displayed specially edited parts of the game for the audience! Composer Austin Wintory (and first EVER videogame score composer Grammy nominee) came and conducted his pieces in the game Journey. Any gamer would have loved the selected pieces from tonight’s performance. We had a wonderful experience and for me, what I loved most about the evening was seeing the different groups that this concert attracted. Classical music is still very relevant today and I loved how that message was reiterated by the mix in the audience. 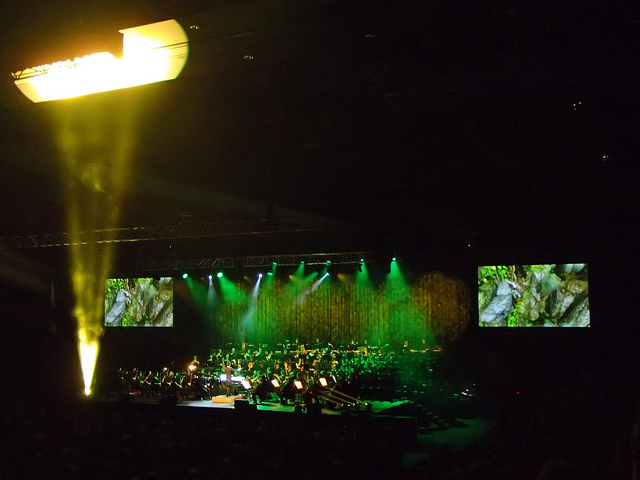 While living in Brisbane, make sure and class up a weekend by attending a QSO performance! Below is the set list from the performance!